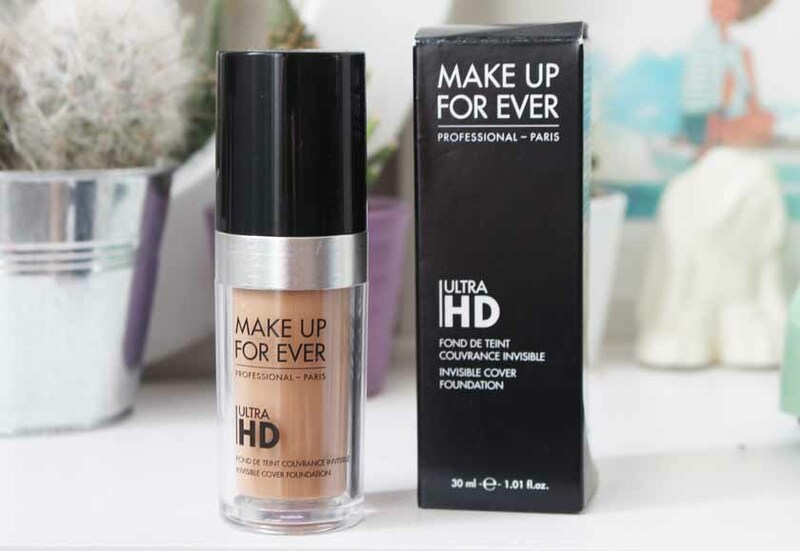 I've heard so much about this foundation and I still remember the days when you couldn't even get it in the UK! Thankfully, those days are over and we can now get MUFE easily. I am pretty sure that everyone except me already tried this cult product, but hey... I finally gave it a go and I must admit, I am pretty impressed. 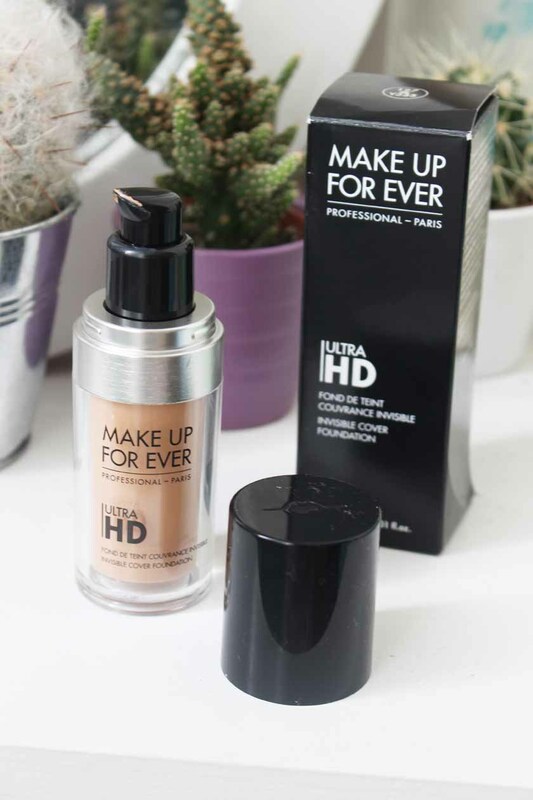 The Make Up For Ever Ultra HD Foundation*(£29.00) comes in a huge variety of shades and I opted for one from the medium range in Y335 Dark Sand. The MUFE Ultra HD Foundation was created to look like second skin on TV and in high-definition photos and it really is hard to notice when it's blended. It offers medium coverage, which is perfect and features a light-diffusing formula to make your skin look flawless. It is creamy, hydrating and feels very comfortable, even on super dry skin. I would recommend using a good moisturiser prior to applying it though, like I would with any other base product. If you don't like powdered skin, you don't have to set it, as it dries to a seamless finish, but I love setting it with a light powder, like Bourjous Healthy Balance or one of the Hourglass Lighting Powders. Overall, it's a lovely, natural looking foundation that photographs beautifully and feels like second skin. I would highly recommend giving it a go, if you need a new base.